Bucks County sued major manufacturers and distributors of prescription drugs on Tuesday in an effort to fight addiction and recover damages from the costs of the opioid crisis. Overdose fatalities in Bucks County reached 232 last year, an 89 percent increase over 2015, according to the 159-page civil complaint filed in the Bucks County Court of Common Pleas. Also named as defendants are three corporate distributors that control up to 85 percent of the market for prescription opioid distribution in the United States. 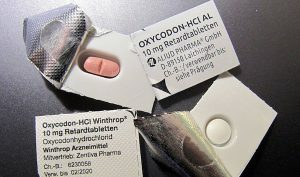 The lawsuit alleges that manufacturers misled the public about the dangers of prescription opioids, and that the defendants responsible for distributing opioids into the community disregarded their obligation to monitor distribution and halt any “suspicious sales” to protect the community from an exorbitant flood of opioids. Bucks County has been hard hit by the opioid epidemic. It is estimated that 80 percent of street-level heroin users in the United States began their addictions through the use of prescription pain medication. The fallout here has been staggering. The collateral costs of dealing with such widespread addiction have left the county strapped on many fronts, say officials. Bucks joins many communities in this region and across the nation that have filed such legal actions against the opioid industry, Commissioners Chairman Robert G. Loughery noted.